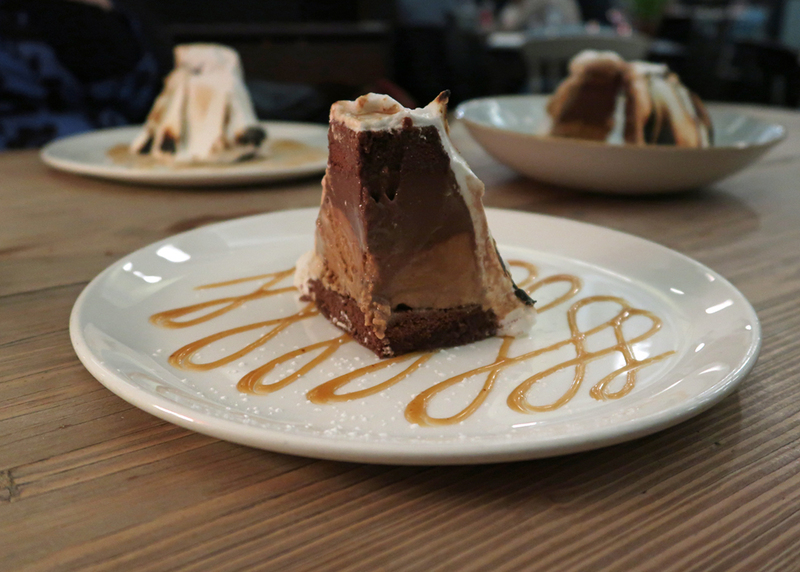 We are currently working our way around some of the better Veganuary offerings from restaurants.. Bel & the Dragon, a small, quirky group of pubs and restaurants based around Reading and the surrounding countryside caught my eye. 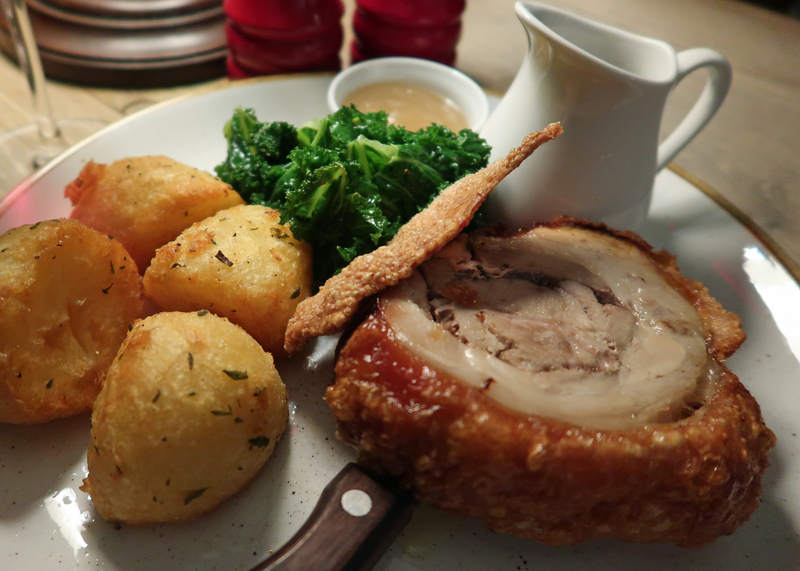 I used to eat at the Bel and the Dragon in Cookham on a regular basis and loved the informal and cosy atmosphere. And, my Reading based companion turns out to have a soft spot for his own local, based near the canal on the edge of Reading Town Centre. As he happily told me, just as we were approaching the blazing fire pit outside the main restaurant, it’s LOVELY in summer. They actually have a canal boat you can hire for private parties – what a great idea! Especially given the food and cocktails. 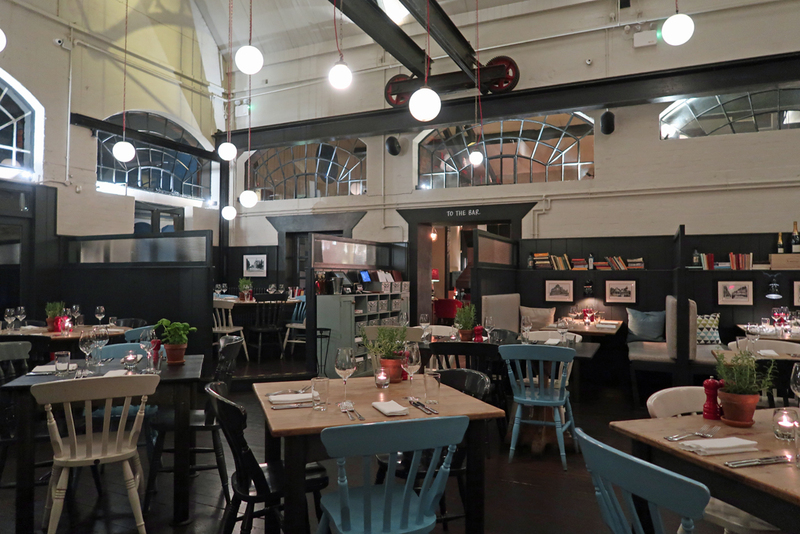 If like us you are not there for a private party and it is winter, inside manages to create a cosy atmosphere in a large space. The tables are nicely spaced and there are cute booths all around the edge of the restaurant. 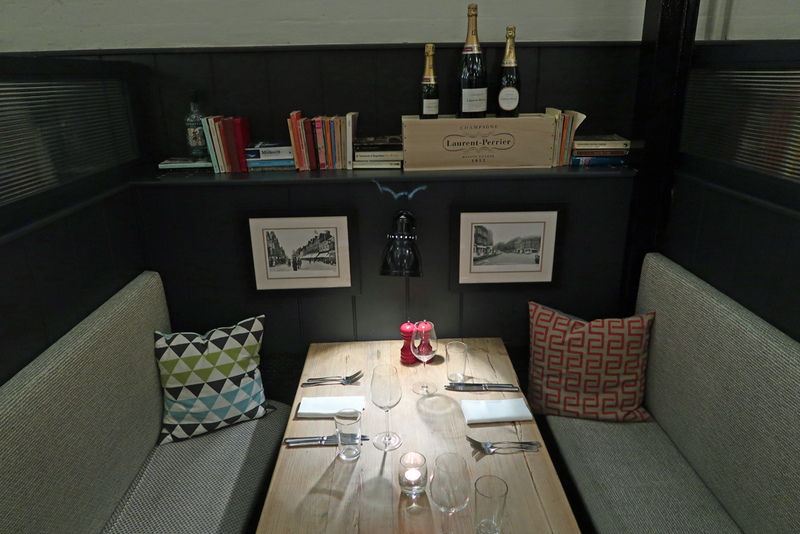 Perfect for an intimate meal for two and worth noting for Valentine’s day perhaps? 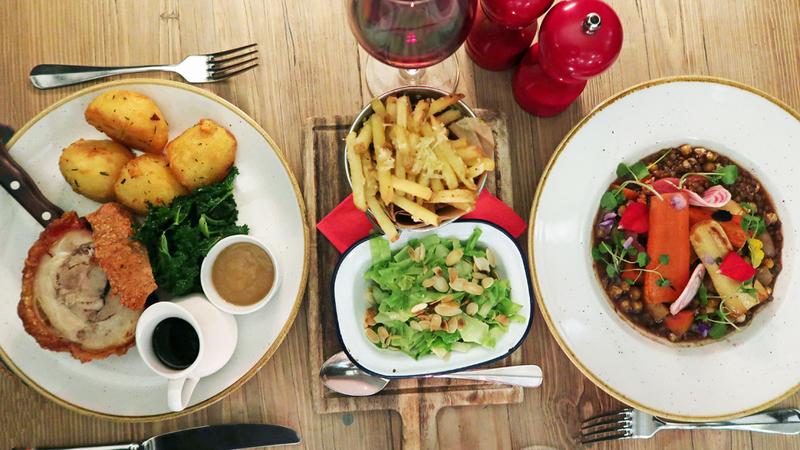 We wanted to compare and contrast the vegan menu with the regular omnivorous one and agreed to mix and match one starter and one main course from each menu. The vegan menu is perhaps a little short – we were disappointed that starters were both salads for instance – and the only dessert other than vegan ice-cream was not available on the evening we were there. But that shouldn’t distract from the deliciousness of the food and, I suspect Bel and the Dragon are underselling themselves just a little at times. 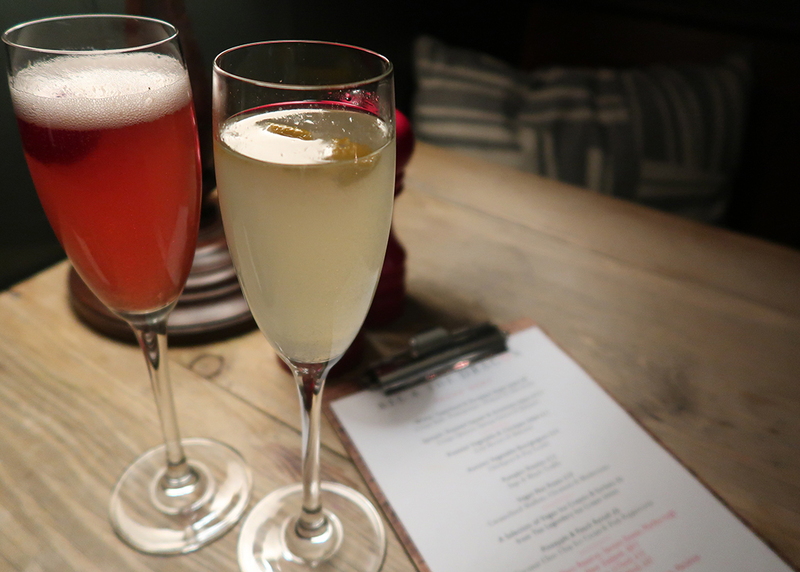 While we looked at the menu we enjoyed a couple of sparkling wine cocktails – a Sloe Gin Royale for me and an Elderflower Fizz for my companion. To start we picked a (non-vegan) marinated beetroot served with creamy burrata, basil pesto and toasted pine nuts which was a beautiful and delicious plateful of food. 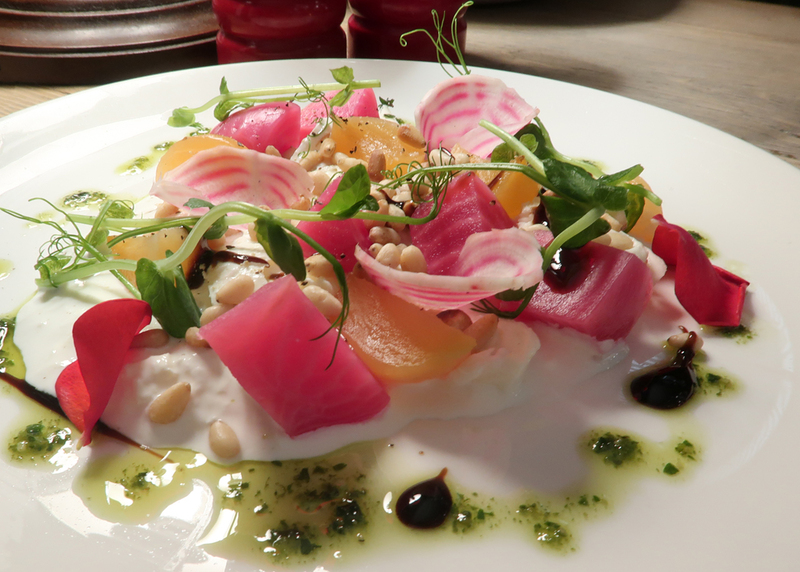 I loved the lightly pickled beetroot and the pine nuts added just the right amount of texture to the dish. 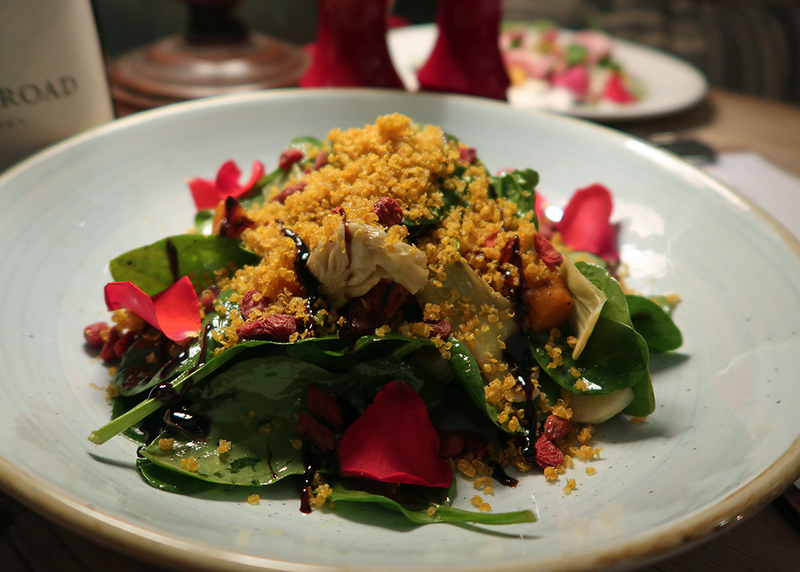 Our vegan option, spinach, roasted squash and artichoke salad with crispy quinoa spring onion and balsamic was so much nicer than it sounded on paper to me. Served with melting, warm cubes of buttery squash on a bed of baby spinach and artichoke, all dressed with crunchy quinoa (how do you make that?) this was a perfect winter salad, far more appealing for being served warm. 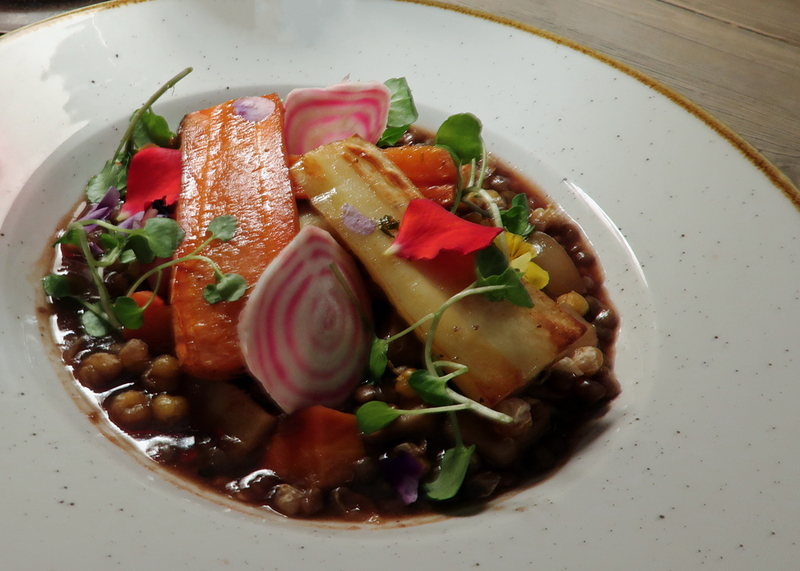 The vegan main dish was similarly delicious – an autumn vegetable bourguignon with chickpeas and puy lentils. I’d anticipated an overload of pulses and wasn’t sure how well chickpeas and lentils would work together. The dish, an umami-rich earthy stew with plenty of root vegetables topping the pulses left me happy not to be eating meat. Roast Suckling pig was perfectly cooked and beautifully presented with crunchy roast potatoes and a delicious rich meat jus. For those of a carnivorous inclination, the ultimate dish. A side of truffled parmesan fries was totally unnecessary but oh so good. (sorry – but if you put them on the menu, I WILL order them). The rather healthier dish of hispi cabbage with almonds was also delicious. Both delicious but slight over-indulgence on our part to have the fries. It’s worth noting that none of the sides are listed as being vegan, though I suspect the hispi cabbage could easily be without too much pain. We loved the sound of the other two vegan main course options, particularly the pumpkin risotto with sage and black truffle. Personally, I hope some of the dishes make their way onto the main menu as they are the kind of thing you might order ANY month in winter and feel quite happy with the outcome. 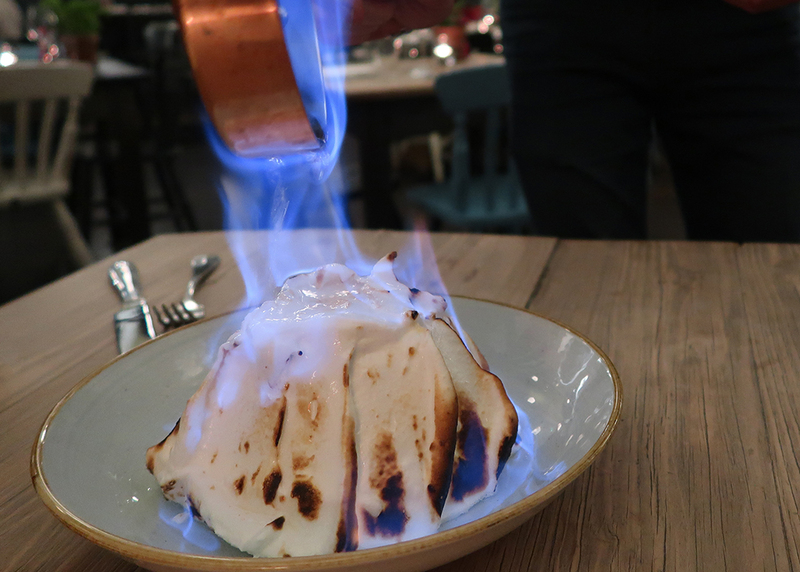 Neither of us particularly wanted to eat ice cream and at this point decided to go for total, non-vegan indulgence and order baked Alaska to share. 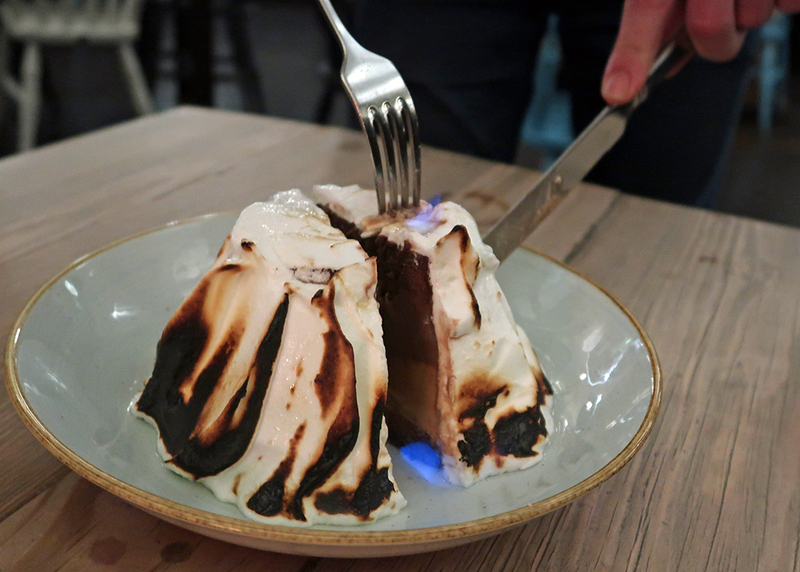 No regrets here, it was a beautiful revival of an old classic, flambeed at the table to provide generous helpings of soft meringue, sponge and (yes) chocolate ice cream. Throughout the meal we enjoyed a delicious bottle of vegan Pinot Noir. Our waitress told us that it was the only vegan wine on the menu, though there were two options listed on the special vegan menu (not the bottle we were given!). On checking, at least the white wine listed was vegan, though not certified so we will update this when we have more information. We loved the food at Bel & The Dragon. As a vegan offering, it’s 80% there, but lacks some detail – a few more starter and dessert options for example and more clarity on vegan wines. As neither of us is vegan (you might have guessed from our enthusiasm for the suckling pig), it wasn’t an issue for us, but I could see it being very important for an ethical vegan or one who follows a vegan diet for medical reasons. Of course, we’ll be back. And I’m looking forward to trying the (vegan) pumpkin risotto with sage and black truffle.